Degraded fuel presents a major maintenance issue in small engines and powersports equipment. It can form varnish, gum and insoluble debris that clog carburetors, fuel injectors and fuel filters. Carbon buildup can form on the tops of pistons that leads to pre-ignition, rough idling and poor throttle response. Fuel-related problems are only expected to intensify in the coming years as the ethanol content in pump gasoline continues to increase. Quickshot SE is recommended for use in all two- and four-stroke gasoline-powered engines, including motorcycles, snowmobiles, boats, personal watercraft, ATVs, edgers, tillers, mowers, snowblowers, chainsaws, generators and farm and construction equipment. However, AMSOIL P.i. 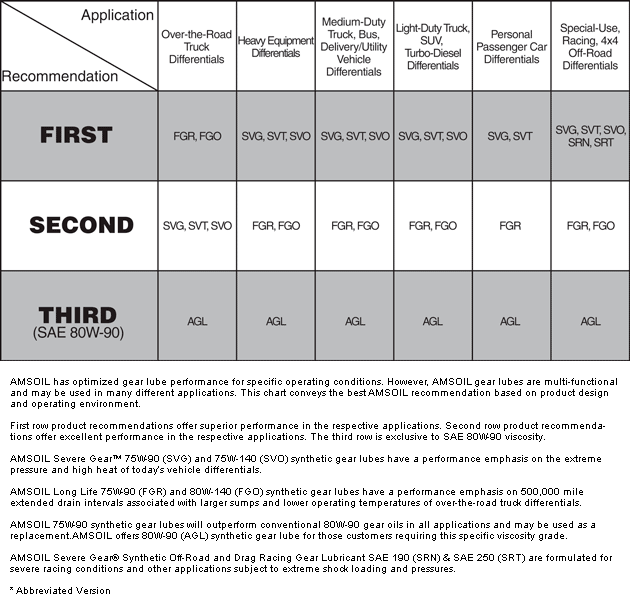 Performance Improver is the superior choice for passenger vehicle applications. AMSOIL Quickshot SE (AQS) is a premium fuel additive formulated to thoroughly clean and restore peak performance in small engine and powersports equipment fuel systems. It also stabilizes fuel between uses and during short-term storage periods. Its revolutionary technology focuses on three major fuel-related issues plaguing small engines and powersports equipment: ethanol, water and dirty pump gas. into the engine, it creates a lean burn situation that increases combustion chamber temperatures and can lead to engine damage. AMSOIL Quickshot SE is designed to keep water dispersed throughout the tank, moving it out as a normal part of operation and decreasing the chance of ethanol separating from the gasoline. Quickshot SE was tested in fuel containing 10 percent ethanol. Controlled plugging of injectors showed a 70 percent flow improvement, while oxidation stability improved 44 percent over untreated fuel. Water finds its way into gas tanks through condensation in tanks open to the atmosphere, gas pumps and other environmental conditions, and if left untreated, will cause a myriad of starting, performance and corrosion problems. By keeping water dispersed in tiny molecules and safely moving it out of the tank through the combustion chamber, Quickshot SE helps maintain engine performance and protects against damaging corrosion. Dirty gasoline causes fuel system gumming and varnish, as well as piston and combustion chamber deposits. Although all gasoline sold in the U.S. is formulated with a lowest additive concentration (LAC) level of detergent additives, these detergent levels are not enough to prevent deposits from building up on critical fuel system components. Quickshot SE contains unique chemistry that quickly detaches and carries away deposits and buildups in fuel systems, injectors and carburetors, while also cleaning hard-to-remove deposits on piston tops, spark plugs and other combustion chamber parts. Quickshot SE is designed for an initial clean-up dose of 8 oz. per 6 gallons of gasoline, followed by 8 oz. per 12 gallons thereafter. 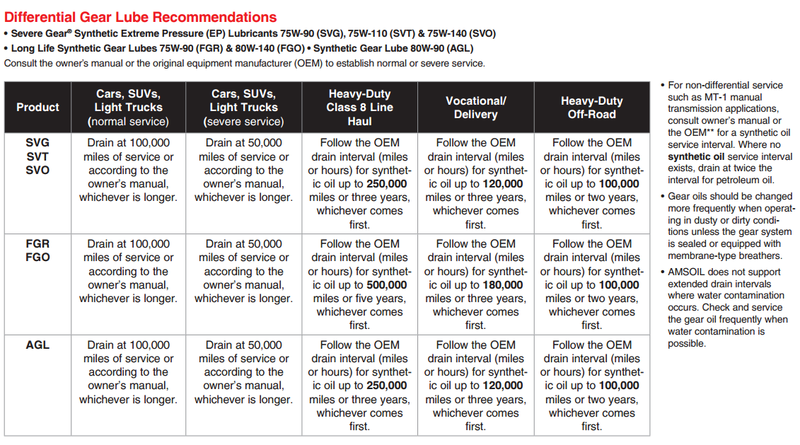 Click here to view the MSDS Data Sheet for AMSOIL AQS. Votes & Reviews: 109 vote(s) and 92 user reviews. Product works as described and has saved me from having to siphon out old fuel from my tanks. Quick shot has improved my engine performance in my GMC Sierra and cleared the gunk in my vapor canister in the gas tank. The check engine light was activated on my Sierra & I was able to clear it by using the Quickshot... Works well on snowmobiles, ATV's and/or all types of power equipment. I use it, and sell it to my customers. I use the product in my Harley, and my Indian motorcycles. I also keep a stock of it on hand for my customers (marine and lawn care equipment) who face the perils of ethanol useage in modern day fuels. It has yet to let me down, as I use it at the end of season tank of fuel in both my bikes. I'm assured both will start at the beginning of the next riding season. Great product! I recommend using in all two stroke engines for easy startups and running performance. Made a bid difference, car warms up in half the time. I use Quickshot in every one of my 12 pieces of small 2 cycle pieces of equipment. I have even experienced a rough running engine's start running smooth, after dumping extra Quickshot in. I wish Amsoil would improve the foil seals on their packaging. This stuff aint cheap and receiving opened containers of products happens to be a trend for me lately. Lucky me. Was having problems starting a 7 year old Backpack leaf blower , after using Quickshot it is back to 2 pull's and starts every time,now it goes in all my 2 stroke or carburetor small engines ! Cleans fuel and better performance. Just tried it for the first time in my woodspliter that only gets used a couple time a year.The last couple years its been getting hard to start and it surged slightly at an idle. After treating fuel with Quickshot, woodspliter soon became easer to start and smoothed out the surging also. Must have helped the ethanol problem (maybe even some old sludge?). So far I think it's very good product. I started running this product in my two motorcycles, and was amazed at the difference in performance, especially in my Harley. I also noticed an increase in gas mileage. On my recommendation, my brothers are now running this in their bikes and they bath agree that their bikes have never run as well. I'm totally sold! I use this product in all my small engines. Weed whacker, blower, tiller, snow thrower. lawnmower. They all run like new. I use Quick when I fuel my 2004 Springer. smooth ride after sitting in the garage for a while. workes great . Use this to treat the gas for all the lawn equipment. Noticeable difference! Add to fuel tank every oil change. I've never have any problems with stale gas or carb issues using this product. I use it for all of my small engine tools; from weed whackers, leaf blowers, power washer and lawn mowers. All of my equipment is heavily used and runs like a top every time I bring them out of storage or when I have issues starting one of the aforementioned tools. Just a little in the tank and everything just runs that much smoother. I use it in my outboard engines and it performs as advertised....GREAT! I started running this in my motorcycles and I noticed the difference after the first tank. My GoldWing seems to run more smoothly and the power curve improvement was noticeable, on a bike that needs no improvement. But the big difference was with my Harley. More power immediately, and it runs much more smoothly, but it also stopped backfiring when I roll off the throttle, which was a welcome change. I recommended this to two of my brothers and their experiences were identical to mine. We are all raving about Quickshots! Actually improved the gas mileage for my motorcycle. Bike also uses Amsoil motorcycle oil. 84,000 miles and dirdn't burn oil. Unfortunately California doesn't have the highest rated gasoline unless you want to pay $4.00 for regular with only 89 octane. I use Quickshot to remove water from my gas tank and keep things clean. Great product especially in small engine applications. Definitely helps fight problems created by ethanol!!! This product works well with our winters never a fuel issue. 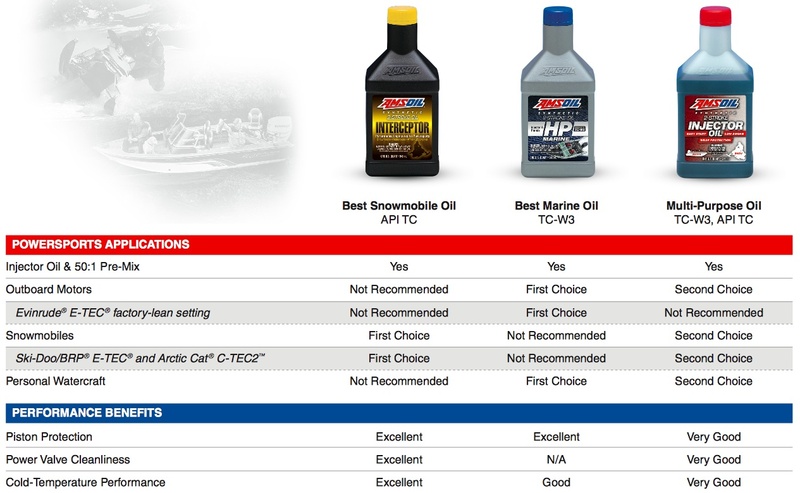 Amsoil is all around best for any product that they make compared to every competitor in the same market! An because of everyone I've ever talked to about Amsoil has always said the exact same thing as I do... to me that make them have any competition and should be the only one to pick simple as that! My generator would not start and it usually will start on the second pull so i pull the gas bowl off and checked to see if was getting fuel to the carb, which i was so i has some new gas premixed with Amsoil Quickshot i let it sit for two days and it fired right up! i suspected that the needle valve was sticking which it was and Quickshot cleaned it right up and its been running fine ever since! also my snowblower was acting up also Quickshot did the trick for that to along with cleaning my fouled spark plugs in my ATV! Thanks Amsoil great product! Use a bottle with every oil change. I definitely notice an improvement at idle when I use this product. Use it in John Deere lawn tractor, trimmers, snowblower, waverunner and etc. To date all good results. Shortly after Quick Shot hit the market i began having lots of small engine problems. After many trips to several different mechanics with out any success i started researching for new equipment, i thought that i had just worn these out (weed-eater, blower and chain saw). Then i remembered reading in one of my Amsoil magazines about this new product "Quick Shot" and how after one tank of fuel there would be a noticeable difference in how well an engine operated. i couldn't believe the difference this product made and it was accomplished before the tank was empty. i'm still using the blower and weed-eater to this date. i also passed a free bottle along to a friend who was having problems with a four wheeler, long story short, this product reverse his poor running machines also. This friend ordered a case shortly there after. Amsoil Quick Shot is and will always be an essential ingredient to my small engine fuel. I bought it and have never had a problem with bad fuel, dirty injectors, hesitation, etc... Mostly used in motorcycle and sometimes in truck. I am not sure if there is a noticeable difference but gives me piece of mind. I also know Amsoil creates quality products so would take my chances with this rather than something off the shelf in local Pep Boys. Use QuickShot in my 30 hp outboard motor for two seasons now and it has definitely improved the overall performance. Specifically, the motor now idles well, ideal for trolling. Good product that I use on all my lawn, snow blowing equipment. Seems to keep the fuel fresh and everything running. I got this to use in my 6x6 all terrain vehicle. Great to add to gasoline - keeps carb clean and engine running smoothly. Works well with lawn equipment. IT IS GREAT FOR REG. GAS AND IT KEEPS DOWN THE WAX IN FUEL. 2nd time for buying this. Works great!! Will keep buying it!! To combat the terrible effects on small engines, of ethanol in gas today, quickshot is a must, to keep these machines running smoothly with less repairs! I've use this product in many applications, lawn mowers, snowmobiles, log splitter, ect.... Keeps carburetors from gumming after long storage period extremely well. Use to clean carbs every spring or fall (depending on the application), but after doing it to a couple with engines that had the quickshot treatment, I quickly found out that I was waisting my time. Thanks Amsoil for another great product!! Used this product in a Polaris four wheeler that had not been run in three years. It had been left with stale fuel in it and would not stay running after draining and adding fresh gas. I drained again and added product to fuel. The quad ran a bit ruff, but by the end of tank was running and idling perfectly. I use this stuff to clean up my FI after a long winter storage. First run the fuel in the tank down so the low fuel light cime on, then at a gas station pour this good stuff in the gas tank before filling it up. Small engines sit for long periods in all kinds of weather and with 10% alcohol in the fuel, water is a problem. Quickshot removes the worry. All of my outdoor equipment use it and I have never had a problem. I use Amsoil Quickshot and Fuel Stabilizer in my motorcycles to avoid the problems associated with the fuels we have today. There are times when my bikes will sit for several weeks and I don't trust leaving fuel in them that long without any additives to keep the fuel from breaking down. 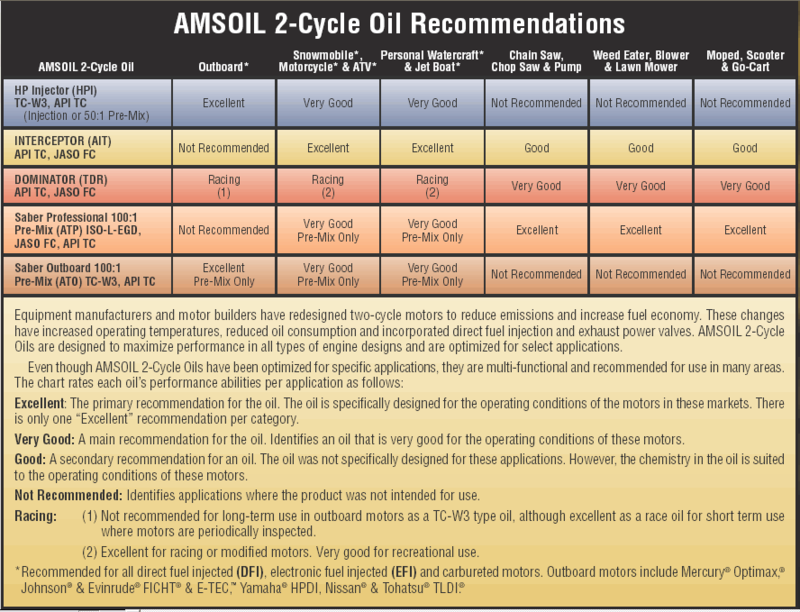 I have had good results with Amsoil products and I believe using these products keeps my motorcycles running great. I have not got a chance to use this product yet. Quick Shot always does the job! I use Quick Shot in my motorcycle on the first tank of gas every season. I use Quickshot on 5 snowmobiles on the first fill up each season as well! I also use Quick Shot every time I fill up my 2 gallon gas can that I use to fill up the lawnmower, snowblower etc. This way I never ever have starting or smooth running problems with any of my equipment. I use this product in everything from the 1971 Johnson 25hp outboard to the 2010 Toyota Highlander. Every couple of months I dump a bottle of Quickshot into each of my fuel tanks on my 95' F-150. I have fast startups no matter the cold (I'm in Wyoming!) and have had no problems relating to Ethanol in the gas. All of my Jerry Jugs get a shot of Quickshot in them no mater what gas engine they service. Sthil chainsaws, weed eaters, lawnmowers, outboards etc. are all treated with this great product. Have had no fuel related problems. Since using this in all my small engines I have eliminated ethanol problems !! My new Suzuki Tu250x motorcycle had misfire at low RPM until I started using Quickshot. Now I mix a 2 gallon can of gas with Quickshot per Amsoil recommendations and it keeps all my small engines running well. Great product . Use it in my snow machines , Motor cycles ,Snow blower. Weed whacker,Even in my gas powered RC boats and Trucks. What more can I saw . It works! I use this in everything! I have used Amsoil products for a very long time. Quickshot is just another great product that works in everything I drive and operate. From what I can tell it does it's job. Gas is never right anymore so this product fixes that and keeps my toys running great. I brag to ALL my friends and gear heads about this INCREDIBLE additive that has done wonders with my small engines and PARTICULARLY my fleet of outboard motors !! The first bottle I used in my work boat Tohatsu 40 horse left me in total WONDER, as it restored it's running characteristics to LIKE NEW condition !! I now use it in maintenance amounts in ALL my outboards, my 4-wheeler ATV, all my mowers, lawn equipment, and generators !!!! NOTHING is any better !!!! used in all my engines, small and large. Use it in all my toys, chainsaw, weed trimmer, leaf blower, lawn tractor, zero turn, etc. Works like a miracle. Keeps my carbs clean and running like they just had a tune up. Put some in a friends weed eater and lawnmower that was not running very good. With in a couple minutes of running they were starting to run better and better. Now my buddy swears by it. I use this in my small equipment for my landscape business. It works great with this ethanol gas that can really mess up these small engines. Honda 30 hp outboard motor was idling poorly and difficult to start. Started using Quickshot in the spring and after 2 tanks of gas, the motor is idling much better and starting has improved. The motor is 12 years old so I believe it will take a few more tanks of fuel with Quick-shot to get the motor to perform at its best.